A very stylish George III Oak Bench, having 'A' framed ends with through tenons to the seat, adjoined by wish bone style stretchers. Having a wealth of character with superb colour and patina. 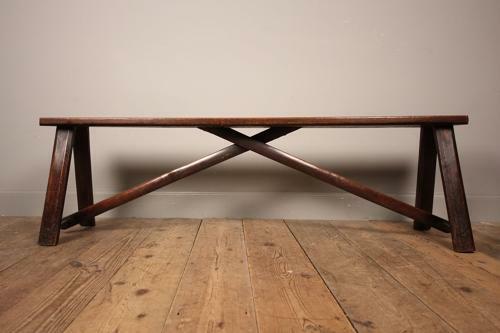 This strong English bench would look wonderful in any room. English, Circa 1810.